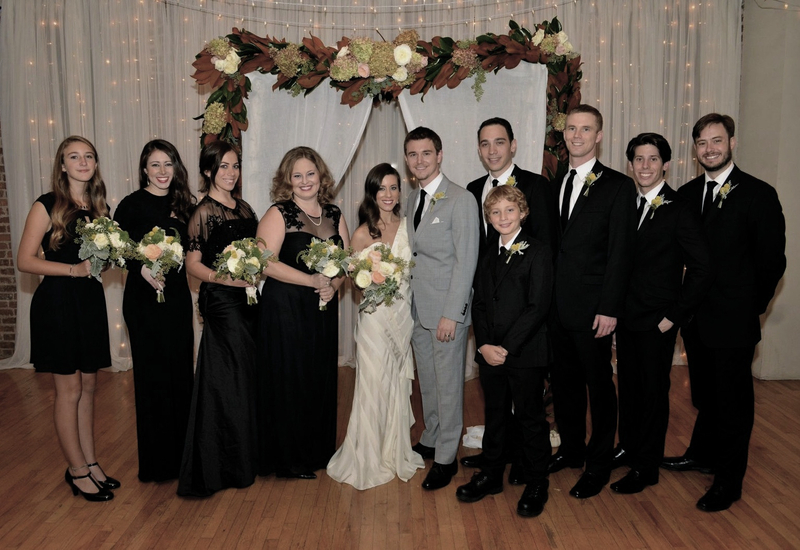 Becky and Jake were married at Deity Wedding Venue on a warm Fall evening. 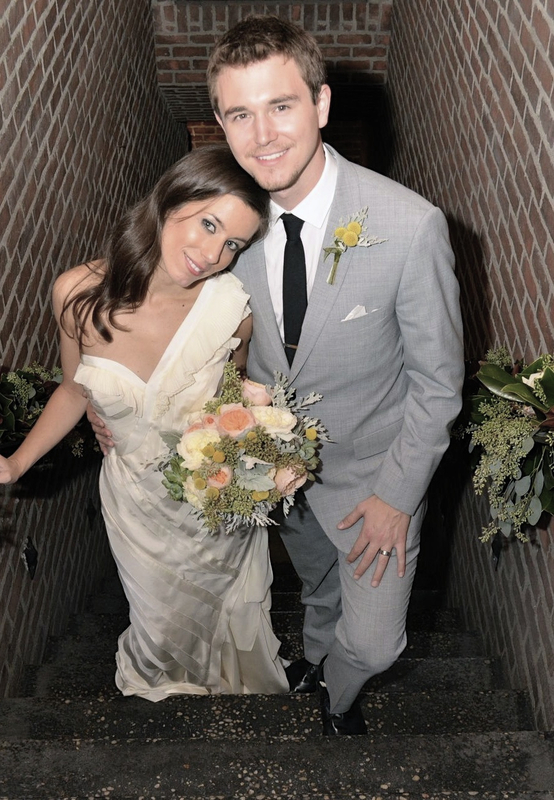 The charm of this couple was reflected with down-to-earth rustic elements mixed with old-fashioned glamour. The Bride’s Hollywood bias-cut gown paired with the Mad Men style of the Groom’s suit hit the perfect note. Florals and decor by Sandy Clothier Flowers dressed the entire Space. 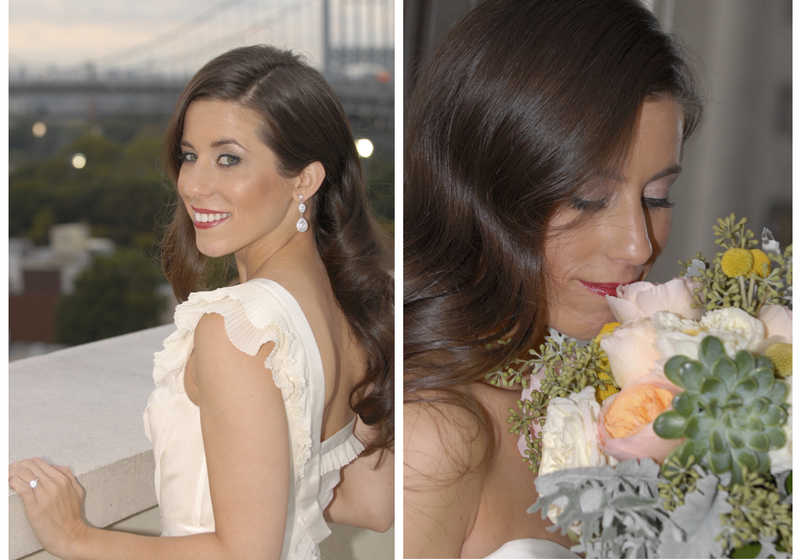 Lush floral garland was placed on the Chuppah and stairwells. 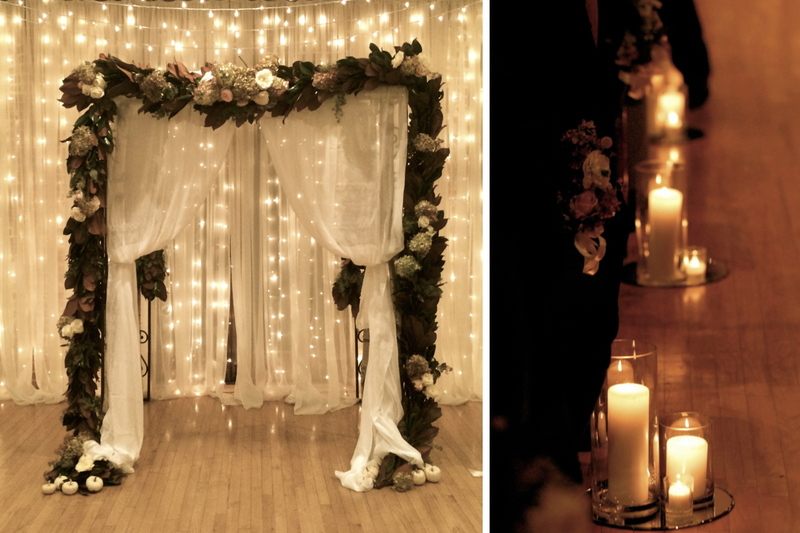 A candle-lit aisle and twinkle light backdrop warmed the Ceremony. 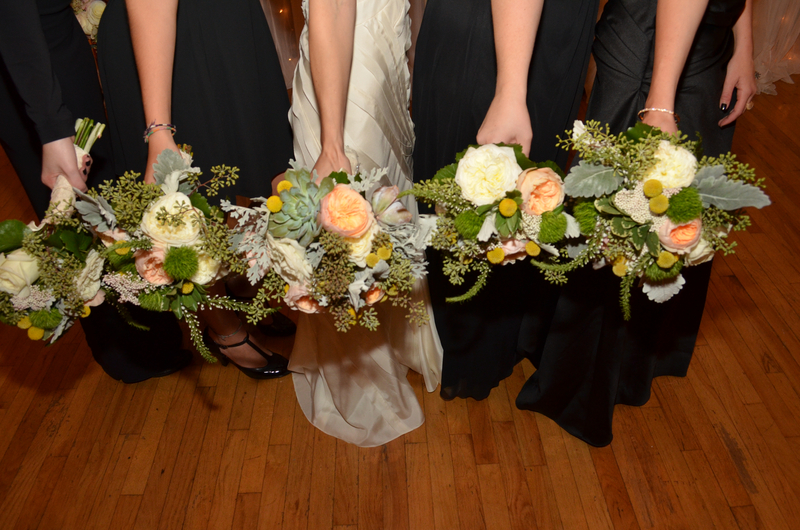 The Bride and Bridesmaids carried rustic, pastel bouquets of roses and succulents. The Reception was a unique cross of burlap and roses. 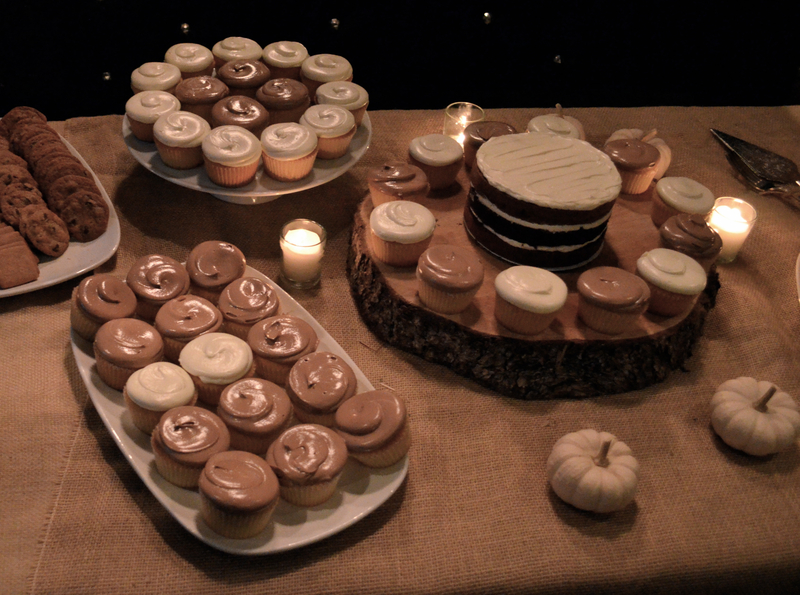 Handmade cakes and cupcakes by Betty Bakery were served on wood slabs. 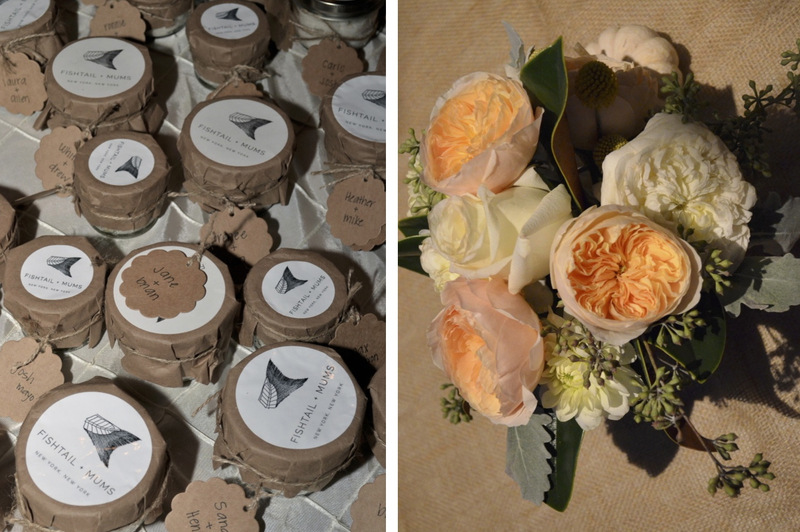 Parting gifts were all-natural and locally-sourced body scrubs from Bride’s own company Fishtails & Mums. Photos provided by Kevin Mcvea Photography.